Google had planned an event on April 18 to announce the new Google Earth, which was once the most widely used program to explore the planet from a computer (before Google Maps actually appeared). 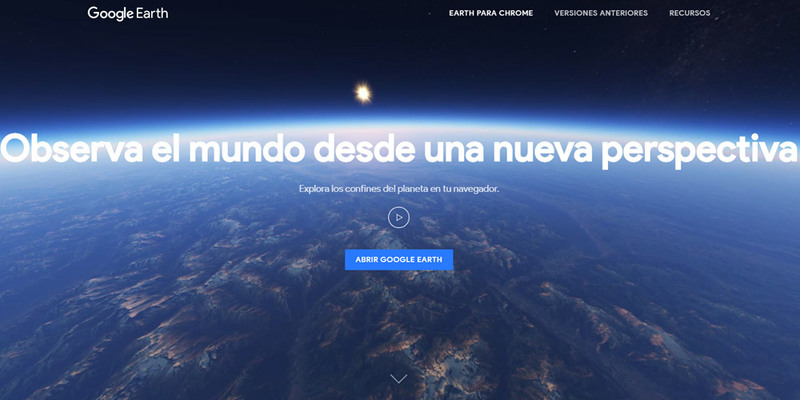 Google has no plans to abandon the development of Earth, as evidenced by the changes introduced in the new Google Earth released four days before Earth Day 2017, redesigned for the web version and for Android devices. The new version introduces new features that allow users to view 3D maps of specific places, learn about random places around the world, and take guided tours from the Chrome browser or from any mobile terminal. This will be the new Google Earth. A new way of virtual visit for our planet. The background remains the same, so the fascinating opportunity to explore any corner of the world without taking a step is still present. The most important news, however, is that the desktop version no longer necessarily involves downloading the software dedicated to exploring Earth. In fact, just open the website (making sure you have activated hardware acceleration) to have immediate access to the new version. However, in Android it is necessary to use the latest version of the application, but for now is not available in the Play Store for everyone (although it can already be found in APKMirror). In general, we can say that the interface has been simplified graphically, but enriched with new improvements and new experiences. Now you can search for a place using what is called natural language. For example, to be teleported to Paris, you can search for "capital of France". There are also new Knowledge Cards, fact sheets with information about places and monuments. It is interesting also the possibility of sharing with a simple link a 3D view as well as the classic "I'm feeling lucky" that catapults you to the most beautiful places in the world at random. The most interesting feature is undoubtedly Voyager. Virtual thematic trips made by experts, of the nature and the culture; real interactive documentaries. Among these is a historical journey to the roots of human civilization. In short, a lot of news that will make you spend several hours walking through the virtual world of Google Earth. And not only that, you can extend the new rounds with Google Earth VR, virtual reality experience hitherto reserved for HTC Vive. Now you can use this search or access the new 27 places also chosen with Oculus Rift. In addition to Steam VR, also available in Oculus Store.